From boho to luxury, classic to beach, choosing a theme for your wedding can be one of the hardest tasks that a couple is faced with. Deciding on this theme early on in the planning piece ensures that you can carry this on throughout the rest of your wedding plans. Still finding it hard to decide what suits you? Here are 10 of our favourite wedding themes to suit any couple's style. A beach wedding brings up connotations of sun kissed skin, the sand between your toes, tousled curls and minimal, natural styling elements. Make waves with a colour palette of pastels and blue and play around with the elements already surrounding you. We adore the look of a classic arch adorned with blooms, flower crowns and crisp linen suits. Click here to get our full low down on beachside weddings. One of our favourite looks for the couple that is cool, free spirited and fun. Think teepees, dahlias and carnations in relaxed overflowing bouquets and semi naked cakes begging to be eaten. The only limit on this theme is your imagination, so get creative! 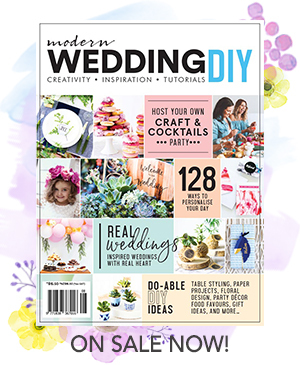 Click here for your ultimate boho wedding guide. Many couples are returning to classic and elegant style this season. Become enamoured with the princess wedding gowns, three piece suits and traditional wedding flowers such as peonies or roses. This is the theme for you love all the traditions associated with weddings. You have found your king or queen so it is only right you celebrate the next chapter in your fairytale in style right? Your Disney dream must be a totally regal affair, lashings of flowers and twinkling fairy lights are only just the start of your regal celebration. If you are looking for some dresses fit for a princess, click here! Exposed brick walls, peeled paint and large warehouses or factories are the prerequisites for this wedding theme. But fear not, this type of wedding is still full of romance and warmth. Here is one of our favourite industrial styled shoots! This style is for the couple ahead of the trends. Think classic lines and clean and minimal designs. It is worth researching the trends and predictions for your wedding season as well as the colour palettes set to be gracing wedding aisles before you get planning. If you are a couple who loves the outdoors and isn't worried about a bit of rain or wind raining on your parade, this is the theme for you! Let the landscape speak for itself in this laidback and relaxed wedding theme. But remember to keep your guests comfortable against the elements! Soft pastels, dappled light and lashings of blooms set the scene for a wedding that oozes romance. This theme can be easily integrated into any wedding venue, our favourites include vineyards or dreamy outdoor venues. Old souls? Turn back the clock with a vintage celebration. Vintage wedding styling is a great way to throw back to the opulence and glamour of decades gone by. Picked the theme, now it is time to pick your suppliers! Click here for our wedding supplier directory - you can even search suppliers via your theme!